Cart Ruts – The cart ruts are prehistoric grooves hewn on the rock face, some 10-60 centimetres deep and 15-25 centimetres wide. They are generally found in parallel pairs, about 1.5 metres apart. No written record was ever found to explain their origin or purpose. Sharp hand tools made out of granite and dating back to pre-history were discovered in the vicinity of the cart ruts. At the Clapham Junction area, 2.5 km from the Cliffs Interpretation Centre, the most well-known cart rut location is found. nearby to the area are Phoenician/Punic tombs and remains of a troglodytic cave complex, Ghar il-Kbir. Ghar il-Kbir – Ghar il-Kbir is a complex of interconnecting caves, widely differing in depth and dimension. These caverns were inhabited from prehistoric times until 1835. The cave ceiling had openings to let light in and smoke out, keeping efficient ventilation, while rain could not penetrate the living area. The open space at the entrance was once their living area. These troglodytes decorated their walls and ceilings with bunches of herbs, garlic and onions. Dingli Radar – Had-Dingli also boasts other landmarks that feature the formidable world of technology and fast telecommunications and make a communication centre out of the environmentally beautiful surroundings. A Turretta and Radar cater for navigational transmissions and air traffic services loom large on the corniche road, and they combine, rather than jar, with the Arcadian milieu. 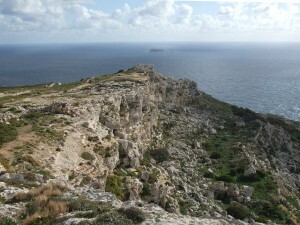 Wardija ta’ San Gorg – The promontory overlooking the deep blue Mediterranean sea and the islet of Filfla, was once a Bronze Age Fortified settlement. Rock-cut silo pits for the storage of grain and mule grips are also found. It-Turretta – In the course of World War Two, Royal Navy troops and Royal Air force reinforcements were stationed on call for any hostile incursion at the Turretta. Thousand of militaries belonging to diverse Anglo-Saxon regiments carpeted the face of the coastal road during the armed conflict until the Allied Forces resolved for the blitzkrieg and they were called to invade Sicily. San Pawl tal-Pitkali – The statue of San Pawl tal-Pitkali 1s over 150 years old. It is situated not more than 100 metres away from the cliffs. 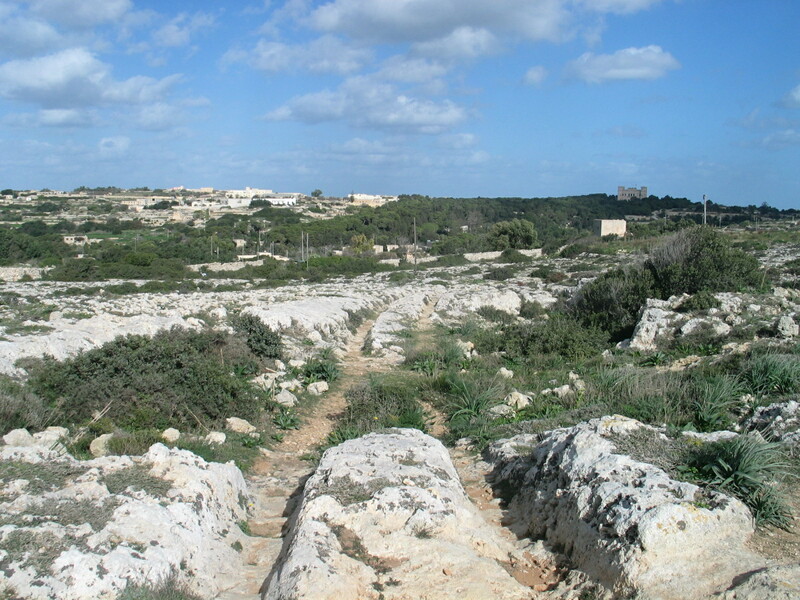 Is-Simblija – The Site of Is-Simblija is a medieval hamlet of rural dwellings on the ledge of a cliff. It is a cluster of complexes consisting of caves. The Medieval area consists of a derelict church referred to in ecclesiastical documents as Sta. Maria ta’ Callus, a mill room, and cooking area around a courtyard. The mill was still in use up to the early 20th century. The site is in a good state of preservation due to its remote access in the countryside. 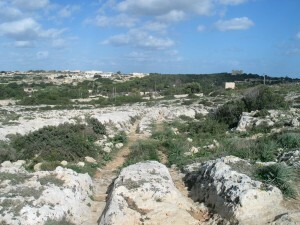 Djar il-Bniet – Djar il-Bniet was built by Baron Inguanez who was a great benefactor of Dingli. The house is preserved in a good state, and has a coat-of-arms on the facade. Some believe that three girls are occasionally seen crossing the street and then vanish. Sta. Domenica Church – Sta. 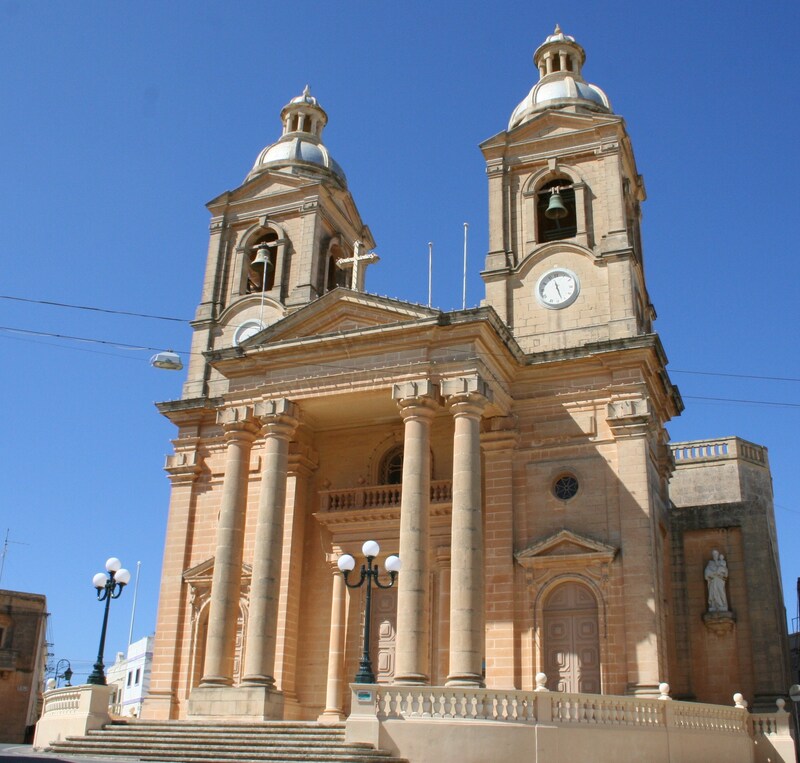 Domenica Church fell under the jurisdiction of the Mdina Cathedral until it was declared a parish prior to 1436. The present church of Sta. Domenica is jus patronatus and was built in 1669 by the Inguanez family, in the back garden of the house called Djar il-Bniet. It is located in Triq il-Ghajn. This church had a cemetery for un-baptized babies. The chapel was recently restored by the Baron and Baroness Carmel Apap Bologna. St.Mary Magdalene Chapel -St. Mary Magdalene Chapel was rebuilt on the cliff edge in 1646 and has one altar. The small marble plaque at the side that reads “non gode l’immunita’ ecclesiastica”, was put up in 1777, and indicates that the church offered no sanctuary to trouble makers. The church has been recently restored. A number of cart ruts may be seen close to the chapel. 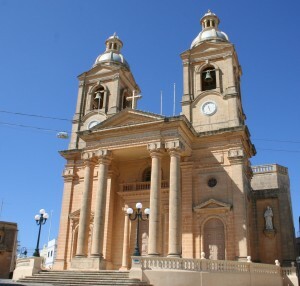 St. Mary’s Parish Church– St. Mary’s Parish Church was built in 1605 on one of the highest locations on the islands. The belfries of the Church provide the highest viewing platform over the islands. Consequently, this church and the surrounding buildings are a landmark, and can be seen from several kilometres away. The church is dedicated to the Assumption of St. Mary. Between 1678 and 1680, the church was enlarged extensively, and then modified again at the end of the 19th century. The church has seven domes.